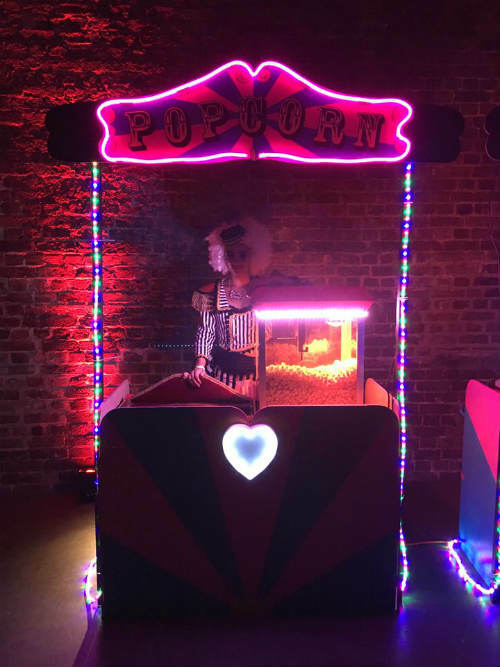 The Candy Girls’ LED colour-changing popcorn machine complete with sparkly, costumed popcorn girls are a visually exciting addition to any event! 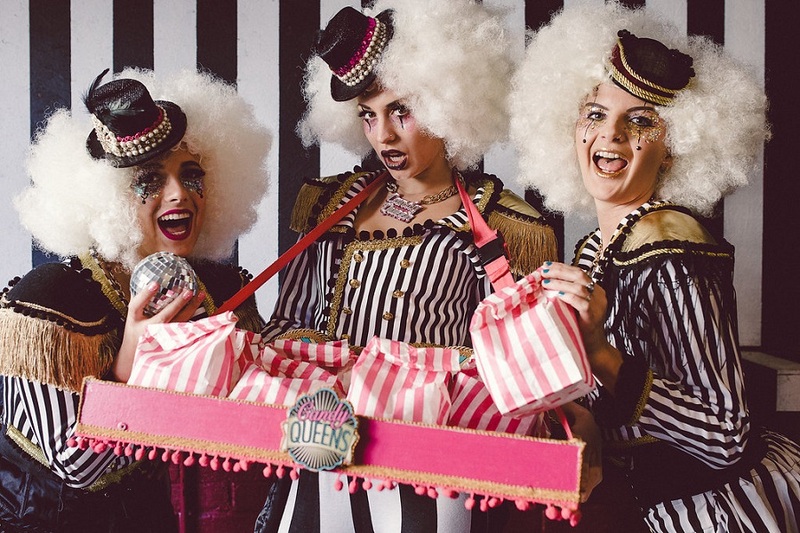 We will serve hot tasty popcorn in candy striped bags and we can often adapt our costumes to your party theme – think Circus, 1950’s, Future Space age, 80’s, Hollywood, we’ve catered for all of these recently. Choose from a variety of flavours – salty/sweet (the favourite), salt and vinegar, strawberry, sour cream and chives, bubblegum, pina colada, banana, bacon & cheese, hot jalapeno, vanilla, toffee, lemon, salt and pepper, spicy Thai, Spicy Jamaican or hot madras! The popcorn stand comes with 50 portions and additional portions are available by the 100. 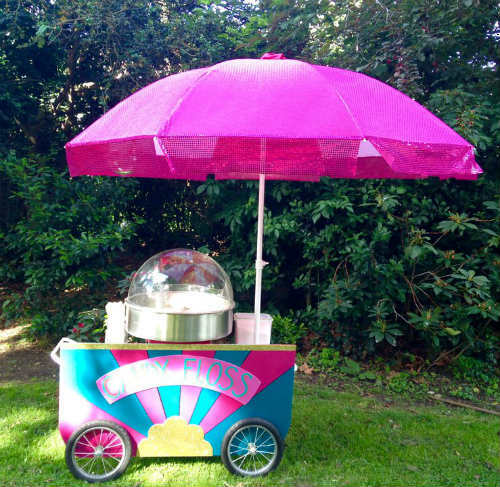 Option 1 – Wheeled traditional stand with sequin umbrella and signage to the front, great for outdoor events. We can add festoon lighting to the umbrella if you have an evening event. 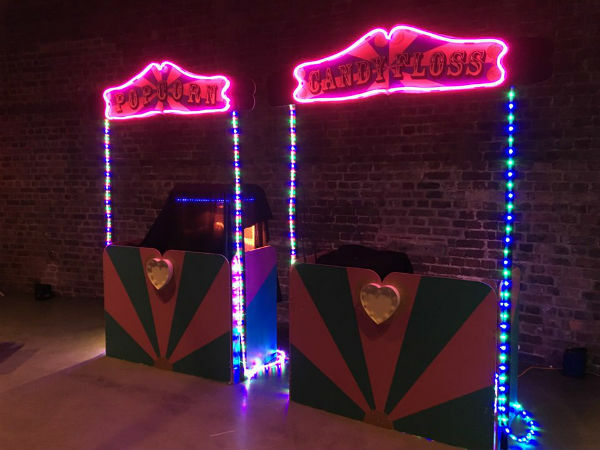 Option 2 – Pink and blue fairground style stand with heart lighting on the front, ideal for indoors. 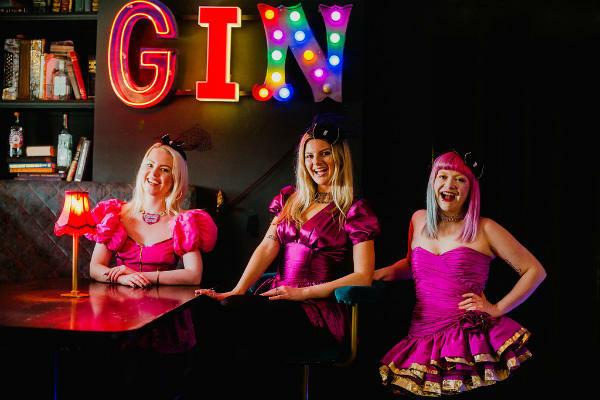 For extra fun you may with to add a roaming usherette who can distribute popcorn throughout the event, returning to the stand to replenish. 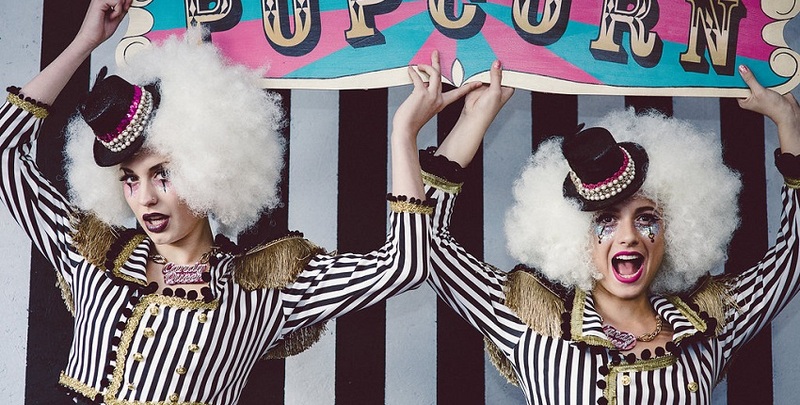 Circus themed with neon signage, and matches neon candy floss stand: Circus/fairground themed stall with neon popcorn signage. Standard 3 hours with the option to add more. 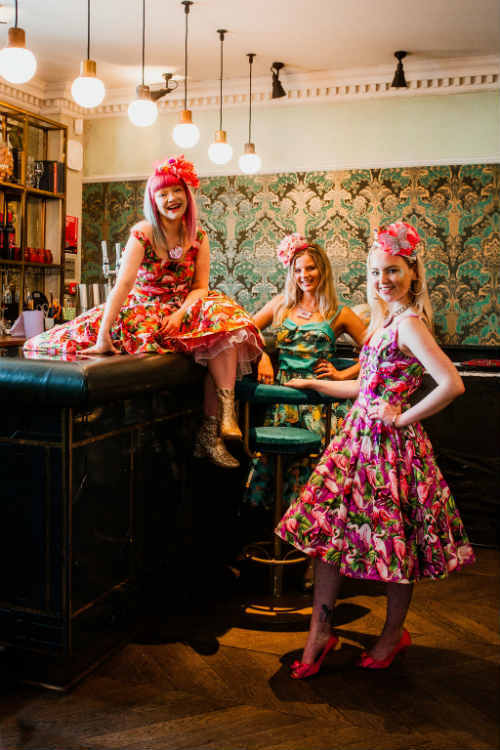 Black and white circus/fairground, pink cocktail dresses, black tie/Hollywood, plain black, sequin dresses, vintage 50’s style. Please discuss your theme with us as we can often adapt. You were an absolute joy to work with, adaptable and so sparkly! 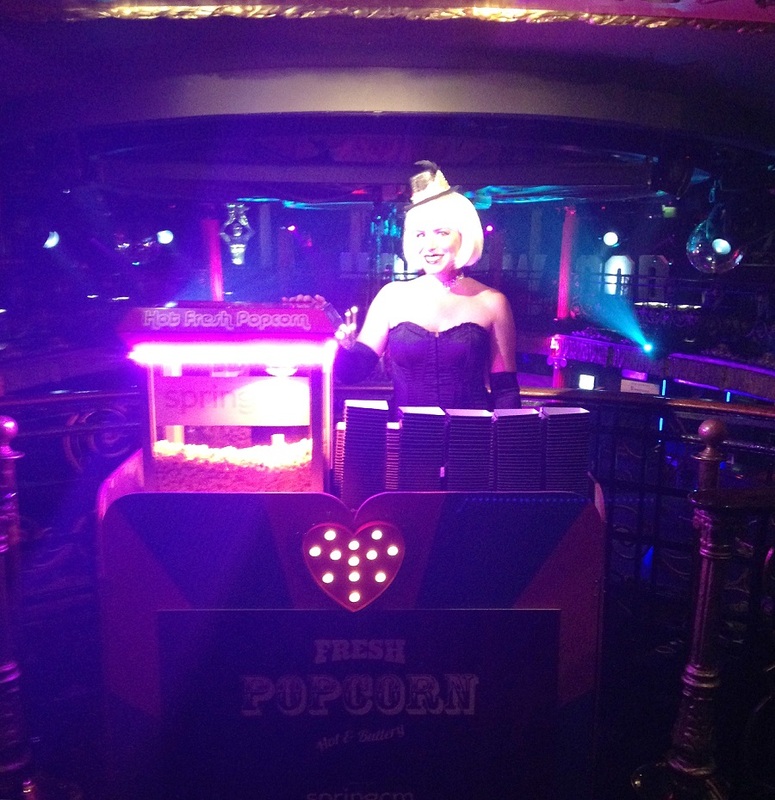 The popcorn was such a hit and I cannot wait to do more with you in the new year!! !